Why it is important to teach creative writing? Um, I don’t know that it is to be honest. I think it’s important to write if you’re remotely inclined towards this way of expressing yourself, but I don’t know how important teaching it is. I do feel some people are natural born writers and some will not be any good no matter how many lessons or courses they take. I suppose the most accurate thing to say is that I think guidance, the opportunity to read widely, and the study of good writing, is a very good thing for a writer. As for why writing itself is important, well it’s a way to make sense of the world by expressing to ourselves what was previous unexpressable. And that can provide insight not to mention enormous pleasure. How did you get into mentoring creative writing? To be honest it was never something I set out to do. I’ve always taught informally in some capacity, mainly languages, but I always lacked the confidence to teach something creative to adults. Then a few years ago a friend who does teach creative writing had come on my invitation to teach a prose course at Abri Creative Writing, which I run, and there were a couple of people there who also wrote poetry and were interested in having some mentoring. I was asked, I agreed, and I loved it. Since then I’ve done mentoring with several prose writers as well as poets, always during Abri writing retreats. I’ve been asked to do 1- work via email too but have turned it down as I don’t want to commit more time to it than I do already. What creative writing exercise or prompt do you use that produces interesting results from writers or for yourself? There are so many! One that I’m fond of involves choosing a quotidian object and writing about it in as much detail as possible for three lots of ten minutes, first in the third person ‘it’, then addressing it in the second person ‘you’, and finally in the first person ‘I’. After the 30 minutes is up, the idea is to combine the most interesting segments of each piece to create a new piece of writing. It’s always so interesting to see what angles and information the different voices bring up, especially in the first person. Join up with other writers in some capacity – a writing group, workshops, an annual retreat, an online forum… whatever works for your lifestyle. In my own life, because of where I live I have no local meet-up writing groups, so once a year I take part in a 10-week online critiquing forum. I also attend a writing retreat every spring. And of course I organize writing courses at my home in France so that writers come to me! Needs must. Well I love Writing the Bright Moment by Roselle Angwin which is an inspiring book to dip into when in need of a prompt or to get into the right state of mind for writing. Roselle, who has become a friend after many years of me attending her annual writing retreat on Iona, is an insightful and imaginative tutor as well as being deeply grounded in the natural world and in what it is to be alive. Her book is one of those classics of creative writing, dog-eared and slightly grubby round the edges from being thumbed so often. 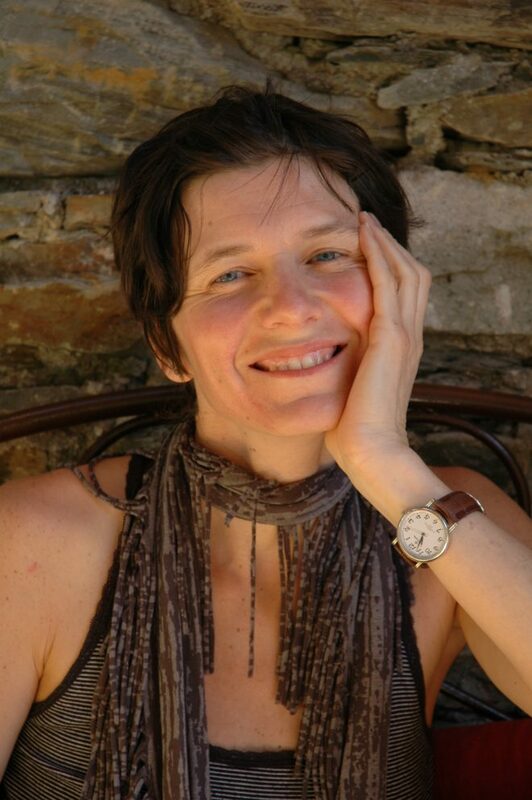 Sharon Black is originally from Glasgow where she worked as a journalist and now lives in the Cévennes mountains of France where she has two teenage daughters and organizes retreats for Abri Creative Writing. In 2016 she took over as editor and publisher of Pindrop Press. Her poetry is published widely and she has won many prizes including The London Magazine Poetry Prize 2018, Poets & Players Competition 2017 and the Silver Wyvern Prize 2016 (Poetry on the Lake). Her first poetry collection, To Know Bedrock, was published by Pindrop Press in 2011. Her second, The Art of Egg, appeared with Two Ravens Press in 2015. She has just completed a third collection, The Last Woman Born on the Island and is currently working on her fourth.